With so much to do and see St. Augustine, it can be overwhelming! This fact is especially true for our first-time guests. While we’re always happy to suggest fun activities to our guests, some visitors would prefer to take a tour of the area. 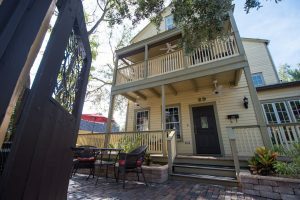 It’s a fun and easy way for you to get the layout of downtown St. Augustine and plan the rest of your trip. Luckily, there is an abundance of fun and informative tours in the area. If you’re looking for a great St. Augustine tour guide, you’re in the right place! Here’s a list of some of our favorite tours in the area. 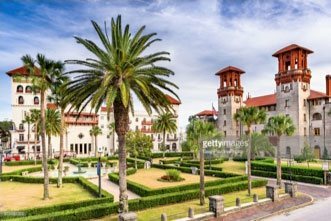 Be your own St. Augustine tour guide! Access our free Vacation Guide to get a full list of the best restaurants, attractions, bars, and shops in town. Plus, our free Vacation Guide is online, so you can access it from any mobile device. One of the most popular tours is by Old Town Trolley. With stops scatter all over downtown St. Augustine, a ticket to Old Town Trolley can take you all over town. If you purchase your ticket through Agustin Inn, you’ll be able to get a three-day ticket rather than the standard one-day. Old Town Trolley has some fantastic and knowledgeable guides and makes stops at some of the most famous attractions. In the evening, Old Town Trolley has one of the best night tours in town. Their Ghost & Gravestones Tour is a great way to get to know the spookier side of St. Augustine. Tour St. Augustine is another great tour company, offering guided tours for schools as well as food and drink tours and ghost tours for your average visitor. They offer a Savory Faire Food Tour, a Historic Pub Crawl, and Haunted Pub Crawl as part of their food tours. If you’d like to take a ghost tour of St. Augustine, their tour “A Ghostly Experience” is a great option. Get a different perspective on St. Augustine! Schooner Freedom Charters offer a fantastic variety of tours. For a dose of sunshine and gorgeous St. Augustine views, book their Day Sail. Be sure to bring some binoculars and a camera in case you spot any dolphins, manatees, or turtles during your day. Their Moonlight Sail is another great option and takes place every Friday and Saturday, weather permitting. There’s nothing quite like listening to live music while listening to soft waves lapping against the hull and dolphins resurfacing. If you’re on a romantic getaway, the Sunset Sail is the perfect activity. This two-hour tour, which can be booked through Agustin Inn as an add-on, allows guests to see the sunset. Each of these tours includes complimentary water, soda, beer, and wine. If you’re taking a romantic vacation with your loved one, a carriage tour of St. Augustine is a must! We are happy to add a tour to your reservation, either with our add-on service or as a part of our romantic specials. Both the Ultimate Romance Package and the Agustin Classic Romance Package include a private horse-and-carriage ride from the Inn. Now that you’ve explored the streets of St. Augustine, head to the St. Augustine Lighthouse and Maritime Museum. They offer a self-guided tour of the lighthouse museum and the grounds, as well as private tours that need to be reserved in advance. The Exclusive Lens Room Tour gives you a closer look at the Lighthouse’s original 1874 Fresnel lens. Another great option is the Dark of the Moon Tour. You’ll traverse the museum at night, conducting your own paranormal investigation. Finally, the most exclusive tour is the Sunset Moonrise Lighthouse Tour. This tour is often booked well in advance, and for a good reason! Once a month, the museum opens the lighthouse so guests can watch the sunset and moonrise from the lighthouse tower. 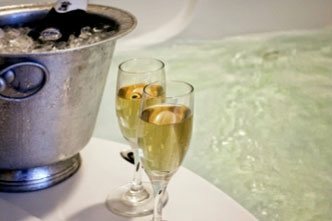 Plus, you’ll get to enjoy complimentary champagne and hor ‘d oeuvres! Whether you’re exploring the city with a St. Augustine tour guide or you’re conducting a self-guided tour, be sure to return to Agustin Inn. 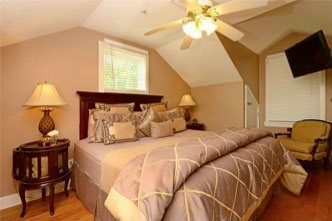 We are centrally located in St. Augustine, with an amazing variety of restaurants, bars, historic sites, museums, and shops nearby. 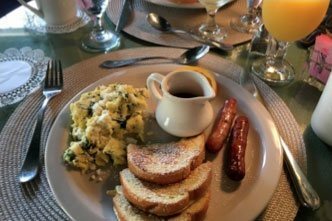 With our incredible selection of comfortable accommodations and a delicious, fresh breakfast every morning, Agustin Inn is the perfect destination.